The other day I saw this video on Facebook and my mind was blown. So this Memorial Day weekend, I followed through and made an amazing discovery. I am about to share with you the best corn ever. Apparently this isn’t a big deal to many people, who have been in on this secret forever. I was telling a coworker about my revelatory experience and she was all casual saying, yeah, there is a place by my house that only sells roasted corn covered in cheese. Turns out this is a staple snack in much of Latin America. And I’m telling you, I have been missing out. And if you are not familiar with this trick, you are missing out too. Why didn’t anyone tell me!? No point mourning the missed corn opportunities of the past. Let’s talk future. 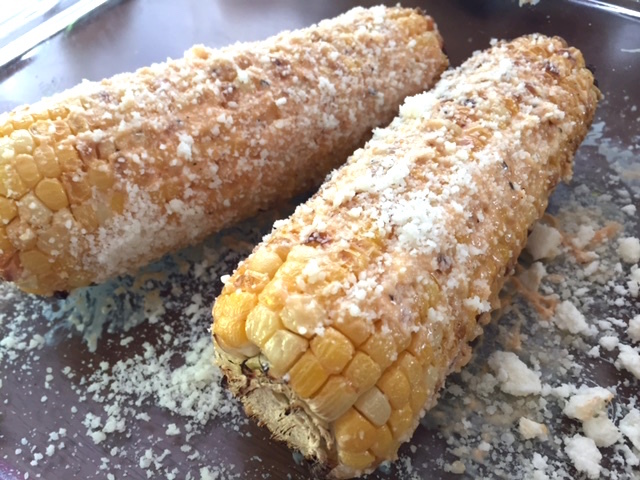 Basically, you roast corn on the grill, getting a little bit of a char in spots. Then, you brush it with mayonnaise and sprinkle with cheese. What!? I know. Amazing. The mayo gives it a bit of creaminess and the cheese is nice and salty. 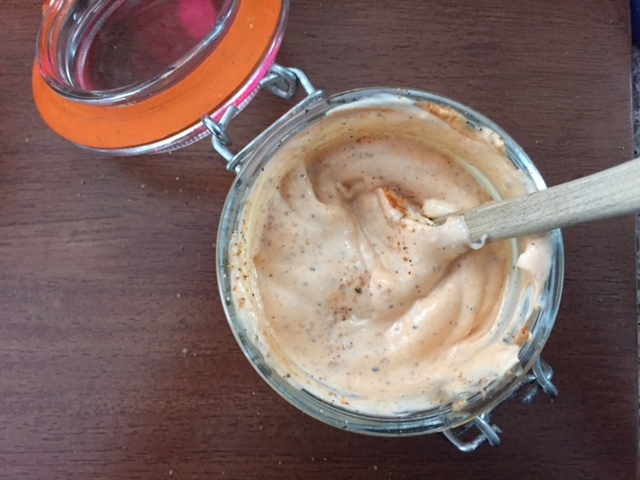 I kicked it up a notch by making a Sriracha mayonnaise and loading it with Tony Chachere’s Creole Seasoning. I tried two different types of cheese, and sampled them both. Don’t you worry. I was happy to take the bullet for the sake of research. 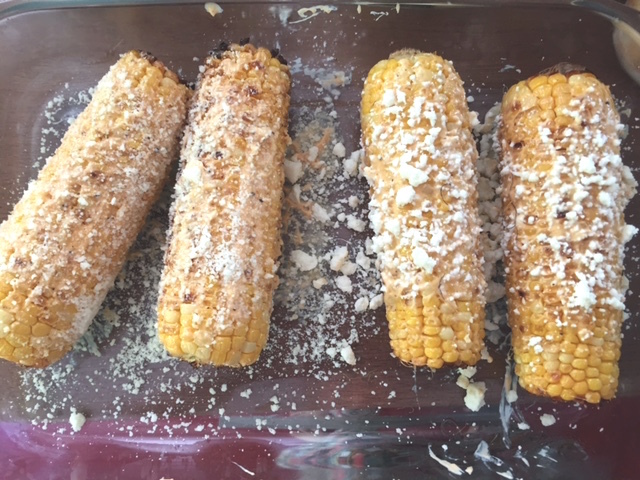 The picture above is corn with parmesan reggiano. 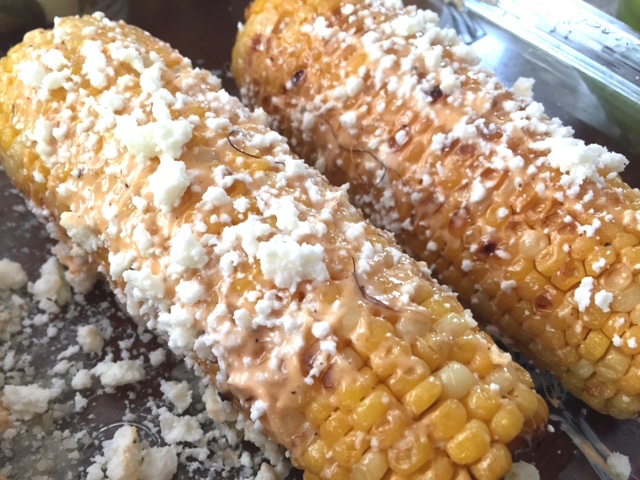 The corn below has crumbled queso fresco. Now don’t get me wrong, there is no right or wrong answer here. 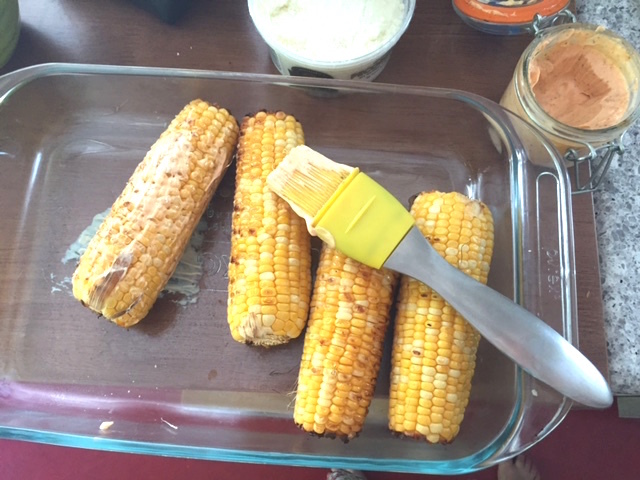 I mean, grilled corn with Sriracha mayo and cheese is going to be good. But, after the sampling, the votes were tallied and the queso won the hearts of the judges. It was so salty! It really was divine. But, if you were doing a more Italian dinner, the parmesan would be great. I have not a single measurement for you in terms of a recipe. But I’ll give you a basic breakdown. Mix a healthy scoop of mayonnaise with a healthy squeeze of Sriracha. Grind some black pepper in there and a healthy shake of Tony Charchere’s Creole Seasoning. If you don’t have any in your cabinet, grab some at the store. It is good on everything. Especially great for grilling. Stir it up! 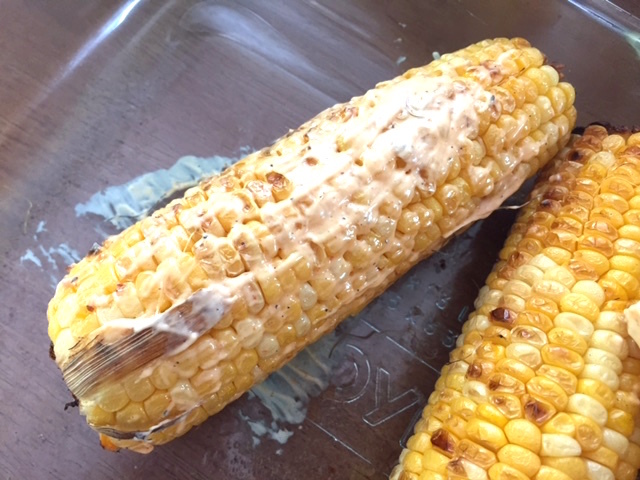 Grill your corn and then slather it with the mayonnaise mixture. 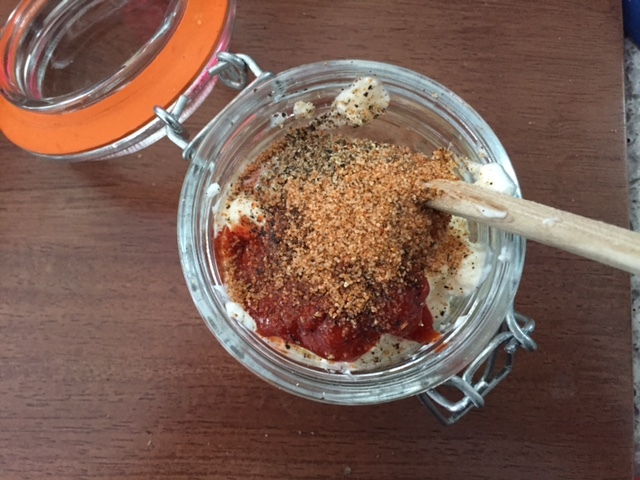 Cover with cheese of your choice and enjoy! I can’t wait to eat this all summer long. I’m so excited!